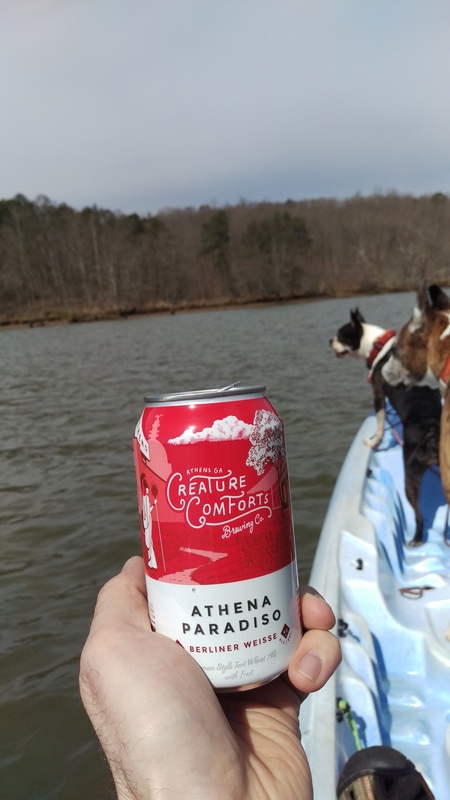 Creature Comforts Athena Paradiso – A perfectly refreshing brew for chilling on the Chattahoochee. 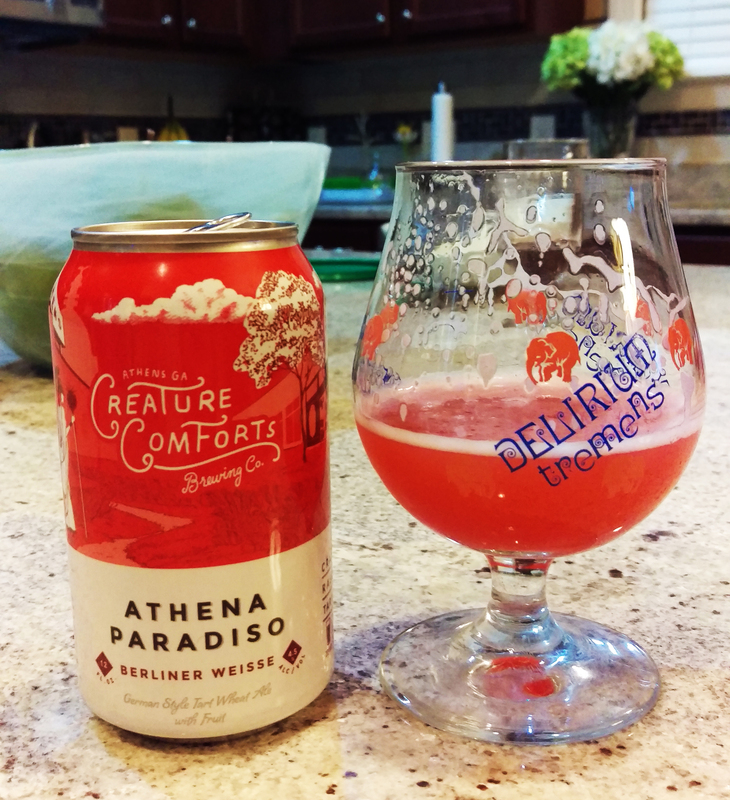 We have had some incredible weather here in Atlanta lately and Creature Comforts of Athens Georgia had perfect timing for their release of the incredibly refreshing Athena Paridiso. It was a warm 75 degrees and sunny the other day so I packed up the mutts and the kayak; grabbed some cold beers and headed to the Chattahoochee river to enjoy my afternoon. The water was low and moving slow, I paddled up stream so I could casually cruise back down river to my truck. After working up a sweat in the afternoon sun I pulled an Athena Paradiso from my cooler and cracked it open. The beer was a cold as the water and equally invigorating. This Berliner Weisse style brew is based off Athena but it has tart cherries, raspberries, and cranberry added to it. The underlying tartness of all the berries really integrates perfectly with the flavors of the Berliner Weisse. The aroma of cranberry and cherry really stands out when you pop the top. The brew pours an intriguing hazy pink that reminds me of pink lemonade. It has a quickly dissipating head that leaves a touch of lacing. Your palate is immediately hit with piles of tart berries, almost a tart fruit punch thing going on. It has a light body for such a thick looking beer. It finishes clean and crisp with a hint of berries. I really enjoyed this beer and I hope it becomes a regular item on the production schedule for Creature Comforts.